Friendly and enthusiastic with five years of specialization in the service industry. Able to learn new tasks quickly, and proficient in growing key customer relationships. Represent establishment with a friendly, professional demeanor at all times. Hard working in both slow and busy shifts. Handles tasks with accuracy and efficiency. 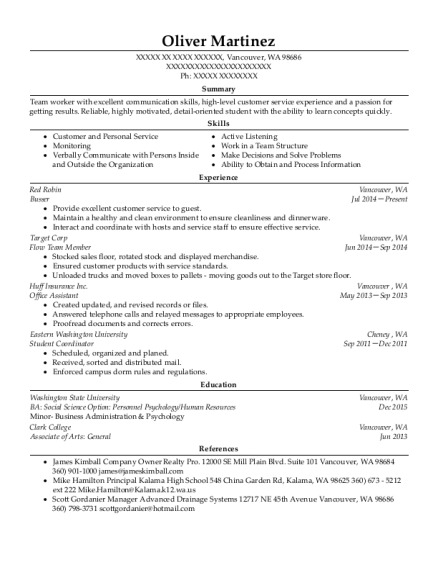 A service-oriented and energetic original individual; while working extended hours as well as excellent communication and time management skills. Receive payment by cash, check, or credit cards. Answer incoming calls, greeting callers, providing information, fulfilling orders, or taking messages as necessary. 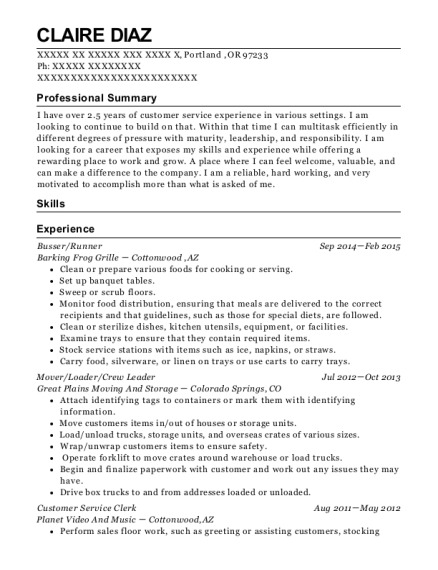 This is a resume for a Busser in Billings, Montana with experience working for such companies as Olive Garden and Jimmy Johns. 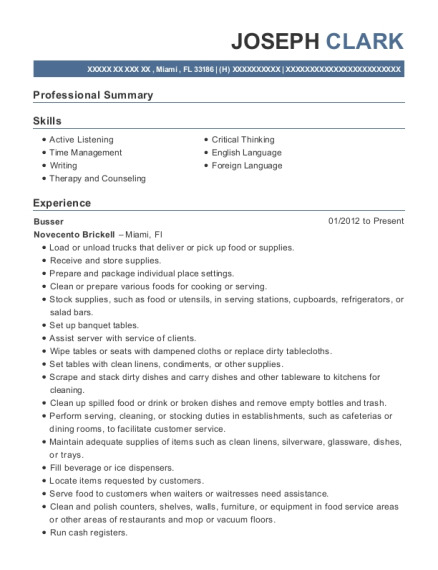 The grade for this resume is 0 and is one of hundreds of Busser resumes available on our site for free. 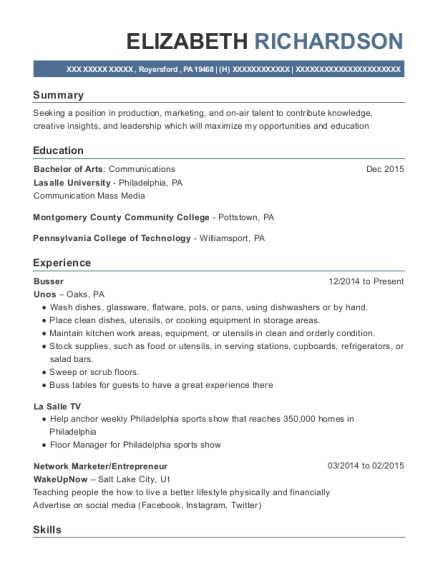 Use these resumes as templates to get help creating the best Busser resume.